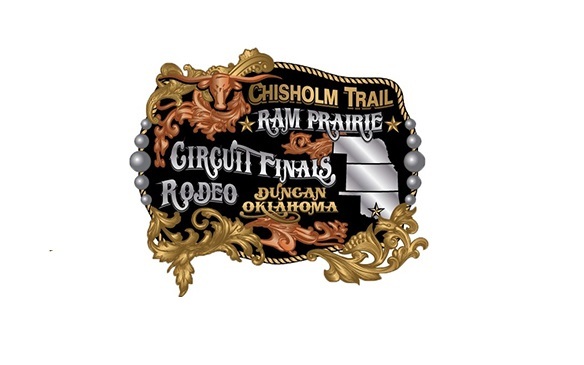 The first champions of the 2018 Chisholm Trail Ram Prairie Circuit Finals Rodeo were crowned Friday morning at Stephens County Arena in Duncan, Okla.
Kelton McMillen of Paden, Okla., won the steer roping average championship by roping three steers in a cumulative time of 51.8 seconds. Four-time world champion Rocky Patterson of Pratt, Kan., won the year-end title. He finished second in the opening round and finished the 12-month campaign with $21,713. Steer roping: First round: 1. Blake Deckard, 11.4 seconds, $1,710; 2. Rocky Patterson, 12.5, $1,282; 3. Billy Good, 12.7, $855; 4. Dee Kyler Jr., 15.4, $427. Second round: 1. Brady Garten, 10.6 seconds, $1,710; 2. J.P. Wickett, 11.0, $1,282; 3. (tie) Cole Patterson and Trenton Johnson, 11.1, $641 each. Third round: 1. Brodie Poppino, 9.9 seconds, $1,710; 2. Billy Good, 13.3, $1,282; 3. Ralph Williams, 14.6, $855; 4. Kelton McMillen, 19.4, $427. Average: 1. Kelton McMillen, 51.8 seconds on three runs, $2,565; 2. Mike Chase, 57.0, $1,924; 3. Ralph Williams, 65.0, $1,282; 4. Brodie Poppino, 22.3 seconds on two runs, $641.